Dean is also listed as the Short Story Editor of this issue. Cover photocopy courtesy of Shippensburg University Archives and Special Collections. 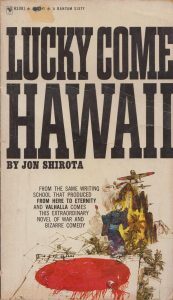 A review of Lucky Come Hawaii by Jon Shirota.